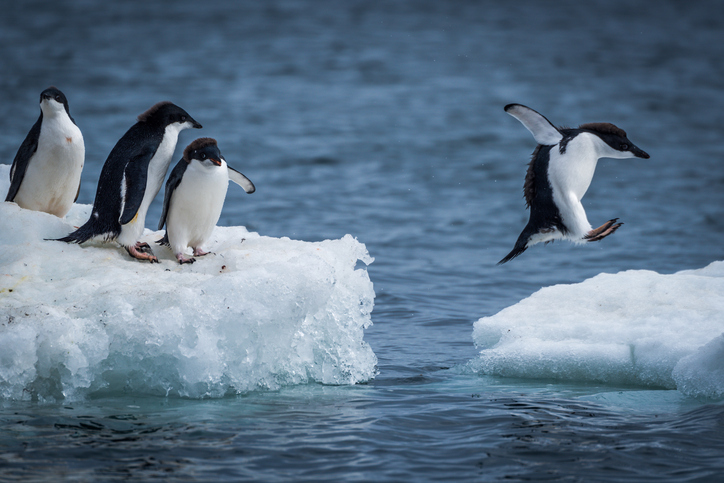 To hop is ‘to make a short jump or bounce,’ like birds or some animals do, and also ‘to jump on one foot,’ ‘to jump over something’ or ‘to move quickly,’ as if jumping. Informally, to hop means ‘to go frequently from one place or situation to another’ and, in US English, ‘to ride on a vehicle.’ A hop is short leap with one foot, a short movement in general, and, in US English, a short bounce, as of a ball. Hop is also a short trip, especially by plane. The rabbit hopped across the field. I put on one shoe, then realized the other one was over by the door, so I hopped across the room to get it. Joe hopped the fence to get into the garden. It's cold, so hop into bed quickly and tuck the covers tightly around you. Laura is always hopping from one job to another. Gary hopped a train to New York. With modern transport, many journeys that used to take days are now just a short hop away. hop to it (informal): do something quickly. Example: “There are customers waiting to be served, so hop to it!” This can sound dated nowadays. In 1958, Danny and the Juniors had a chart-topping hit with the song “At the Hop”; in the past, hop meant dance party, though this meaning is rare now. Hops, always in the plural, are the dried ripe cones of the female flowers of a twining plant of the hemp family, used in brewing beer. Hop, meaning ‘to spring, leap or limp,’ as well as ‘to dance,’ dates back to before the year 1000. The Old English verb hoppian (and the Middle English verb hoppen) can be traced back to the Proto-Germanic word *hupnojan. It is related to the Old Norse hoppa (hop, skip), the Dutch huppen and the German hüpfen (to hop). The noun comes from the verb, and dates back to around the year 1500. The unrelated noun hops, meaning ‘the cones of the vine used to make beer,’ dates back to the mid-15th century, as the Middle English hoppe, and comes from the Middle Dutch hoppe (the hop plant).